Resilience is defined as the ability of something to spring back into shape, or redefine its elasticity after a major transformation or event. So, how can the idea of resilience apply to the built environment? How can planning and design decisions impact the way a community responds to a natural disaster or sea level rise? How can buildings contribute to a more resilient society? This studio will seek to address these questions at multiple scales (macro to micro) and from various points of view (social, economic, environmental). 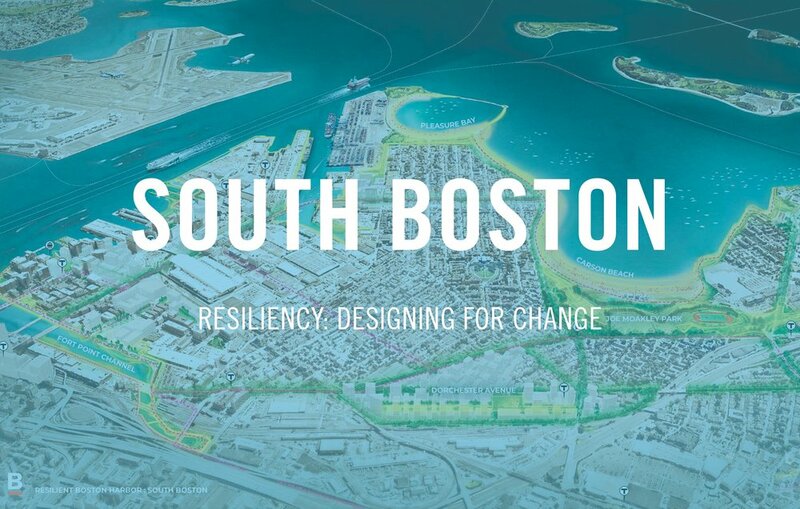 To do so the studio will utilize the recent Climate Adaptation Master Plan of South Boston as a framework for the studio, focusing on applying resilient strategies to the redevelopment of the South Boston – a location threatened dramatically by sea level rise. After researching and analyzing the environmental and socio-economic conditions of the area, students will test the potential for resilient design by focusing on building types such as an affordable housing complex, a community recreation center, and a supermarket. The semester will be broken into two sections – Site Analysis / Program Development / Concept Design (8 weeks); and Site Design / Design Development (8 weeks). Emphasis will be placed on the process of design through the use of multiple methods of representation and study. Students will be expected to explore varied design techniques (physical modeling, virtual modeling, hardlined drawings, and sketches), and will be required to work at multiple scales. This studio will focus on how the introduction of new housing and open space along the East Boston Greenway can be imagined in synergy with the redesign of a section of this public trail. Formerly the Conrail train line, the East Boston Greenway is a multi-use linear park that intersects several vacant and underused sites well-suited for new and much needed housing. As such, this urban-scale project builds upon the lineage of “rails to trails” post-industrial conversions and other linear urban systems that serve as catalysts for housing, development, and public space, such as the Community Path in Somerville, the High Line in New York City, and the Underline in Miami. Furthermore, recognizing that the success of today’s urban developments depends on meaningful public-and-private partnerships, this studio seeks to blur otherwise rigid property boundaries and invites students to propose urban compositions that integrate diverse housing with public amenities and ecosystem services. The studio begins with weekly lessons on the fundamentals of housing typologies, landscape architecture, urban design, and mapping. 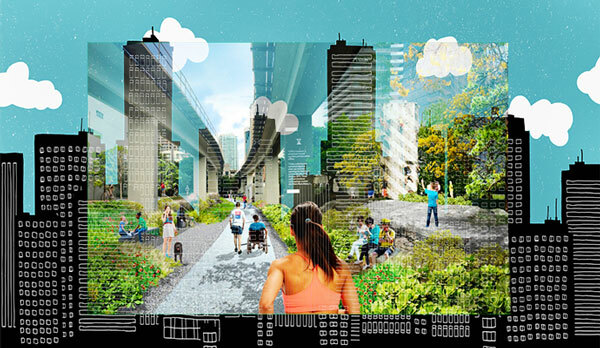 After which, students will work independently to propose their own holistic urban projects that address a spectrum of topics, such as contextual connections, site access, open space design, adaptations to climate change and sea level rise, and material expressions, among others. Lastly, this studio schedules lectures, tutorials, and a site visit throughout the semester to inform presented materials and expected deliverables. The studio will explore landscape and architecture at the turn of night. The time between dusk to dawn where our perception of the natural and built environment transforms into an abstract entity - trees and hills into dark silhouettes, a building a lantern, a window a scene, a distant light a refuge. The darkness of night provides a blank canvas where landscape and architecture can be merged as a continuous stroke, an expansive field, and agglomeration of light. Furthermore, it alters material and sensorial hierarchy enlivening new spatial interpretations and acts of rearranging the order of reality that we experience at daytime. Students will examine the city through the perspective of night, searching for new readings and potentials of urban scenes, activities, ecology, topography, seasonality, and materiality that will inform the design of a ‘Night Market’ situated in the eastern portion of the Innovation District of Boston, MA. The course will begin with the study of a collection of films, paintings, photos, and writings, where artists depict/approach the essence of ‘night’ in unique ways. This will serve as a basis for a series of conceptual and analytical exercises - crafting dioramas, storyboards, montages, collages, maps, etc. - in pursuit of comprehending and distilling phenomenal and technical elements to be applied in siting, programming, and designing. Physical or non-physical in-form, the ‘market’ will activate the remote areas of the district with public activity/engagement when night rises. The design of a domestic unit is the physical manifestation of a culture’s definition of a household. Since the GI Bill, the single-family house has unquestioningly become the predominant model of housing throughout the US, establishing this architectural typology as an essential ingredient in the American Dream’s nuclear family and deconcentrated model of living. However, present social and environmental changes have brought renewed scrutiny to this model of living. The desire for a more responsive architecture have brought out terms like “sustainability” and “resilience” that have both social and physical implications for strategies addressing a vastly changed context since the 1950s. This studio seeks to challenge predominant mass-produced housing types that address changing demographics, lifestyles, and architectural adaptability to diverse climates. With nearly 3 million employees, the US Department of Defense is the world’s largest employer. Stretching across the US territory and present in over 70 countries, the US military operates over a thousand bases scattered across the Earth. It’s extensive administration and technological sophistication makes it home to some of the world’s foremost scientific and practical expertise on climate change and adaptation. The historic role of US military planning has greatly influenced the production of architecture and patterns of housing across the US making it an apt organization to push innovation in housing forward, albeit in a provocative way. While the housing development for military personnel faithfully exports the ideal American suburban home across the globe, no matter the climatic and social context, this studio will question this aggressive ubiquity through the physical, social, and climatic parameters of various sites across the US. Students will interrogate the history of mass-produced residential architecture and the prevailing responses to their historic successes and failures. Through this, each student will develop a new prototype housing that responds to particular climate conditions of each site and proposes innovative models of future living of the collective. The Colorado River winds 1,450 miles through the U.S. and Mexico. As a drinking and irrigation resource, the river and its tributaries presents a crucial water system for both countries. However, in recent years, the river has changed its course. The Morelos Dam at the U.S.-Mexico border controls water delivery levels to the adjacent farmlands by a man-made river route separate from the natural turns of the Colorado river. While these “pulse flows” secure a more steady flow of water to sustain wetlands south of the border, the tight control has also endangered natural habitats native to the river basin. This complex site calls for environmental awareness of the river system and its surrounding habitat, mindfulness towards political cooperation surrounding the border, as well as conscientiousness to embrace multiple environmental, political, cultural sectors of living. This studio works with the Colorado River site south of the Morelos Dam as a base ground to test out ideas in architecture and landscape. Through a series of design strategies, the studio will examine spatial conditions of the River site while exploring border situations of dichotomy. Lessons will integrate fundamental contextual understanding of water systems, site design, and climate through mapping, modeling, and material expressions. The studio will work through a series of desk-crits, pin-ups, lectures, and reviews to better understand and propose alternate ways of living with river bodies in border contexts.